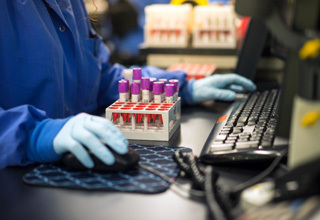 ARUP Laboratories’ PharmaDx program provides customized test development and validation services, as well as clinical research and commercial testing, to meet the unique requirements of the pharmaceutical industry. Since its inception, PharmaDx has entered into numerous collaborative agreements with pharmaceutical companies to develop diagnostic tests and/or conduct laboratory testing for clinical trials. These collaborations have spanned numerous common and rare disease areas, including oncology, infectious diseases, and multiple genetic disorders.